All chalets are beautifully furnished and have German or Dutch TV channels. Of course, in every caravan an air conditioning / airco. The campsite is very child friendly and in the summer months there is a lot for the kiddies on offer. A larger swimming pool and a small children's pool invite large and small to swim. The pool we are always guarded by a very nice swimming supervision so that the kiddies can go swimming alone. 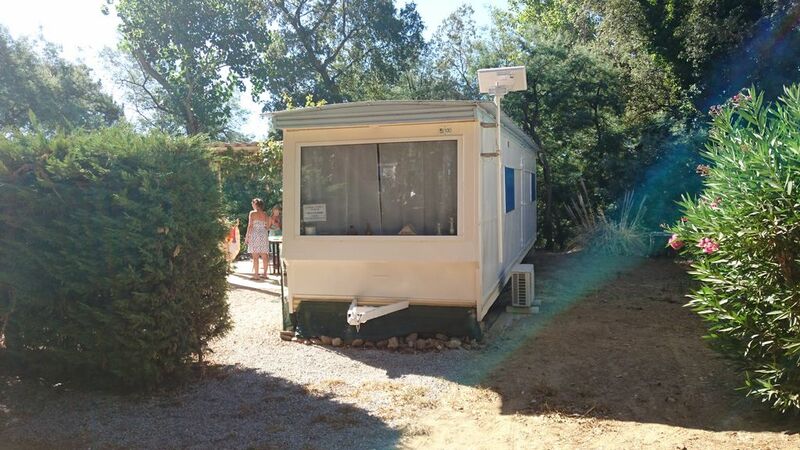 A private sun terrace is located in front of the caravan .inkl garden loungers. If you have any questions, please contact us by email. For bookings of 2 weeks or more, prices are negotiable. Wir würden uns sehr freuen Sie bald mal wieder als unsere Gäste zu empfangen.